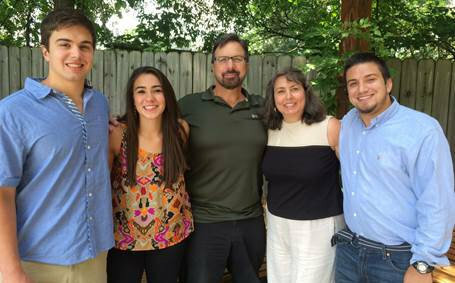 Michael Usey is senior pastor of College Park: An American Baptist Church in Greensboro, NC. Born in Boston and raised in San Diego, he much prefers the Chargers over the Patriots, the Padres (of course) over the Red Sox. He holds degrees from Baylor University, Southern Seminary in Louisville (before the fall), Emory University, and Baptist Theological in Richmond; none of these degrees were purchased online. He has 3 children that he knows of of: Nathan, Zachariah, and Hannah, all named for holy troublemakers of the Hebrew Bible, and who live up to their names. His wife, Ann, makes him look good and teaches English at the Quaker High School of New Garden Friends. His church loves God most of the time, works diligently at loving people, and tries hard not to embarrass Jesus. The best quality about Michael, his friends say, is that he has really good friends.